In this day and age, politics is a very heated subject, with strong opinions on both sides. It seems as though we cannot come together on very many issues when the topic of how to run our country is brought up. It is extremely evident, however, that we can all agree on at least one thing. Our servicemen and women deserve to be honored to the highest degree. That is what we help to do.It is not uncommon for our government to show the respect and honor due to our soldiers by presenting them with flags, medals, and certificates. It is also not uncommon for these flags, medals, and certificates to end up on the top shelf of the closet of the one who has received them. They may not feel that they should show their honors, but serving our country deserves the highest of honors. Why not let people know why these beautiful honors were given? If you or your loved one has served in the United States Armed Forces and have received an honor from our government, display your awards in style. 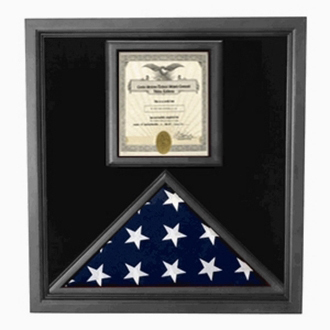 In this instance, our Flag and Certificate Case is specially designed to proudly display either a folded 3 X 5 American flag or a 5 X 9.5 American flag (burial flag). It also has room to prominently display an 8.5 X 11 certificate. Often times, when a flag is presented to honor a veteran, a certificate of authenticity is given. 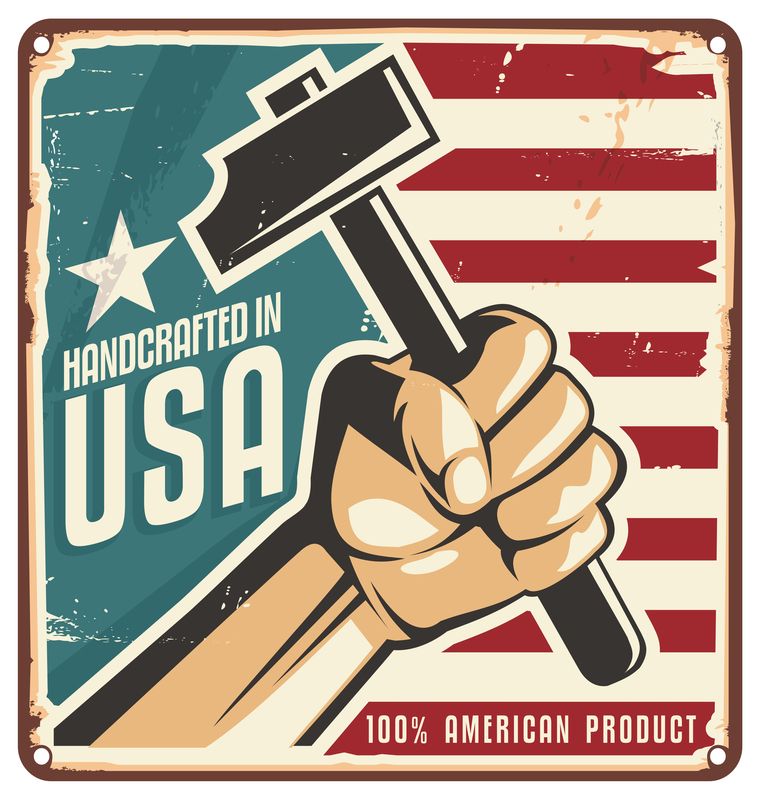 Our flag case is designed to make that certificate feature as prominently as the flag. The case also has room enough to include medals in your display, if you so desire.